Foothill Ranch offers quintessential South County living. Beautiful views of Saddleback Valley, Irvine, and the Saddleback Mountains are common in this lovely community. Foothill Ranch has just exploded with growth in recent years. New shopping centers and business parks have made this community a highly desirable place for living and working. Outdoor activities and biking potential are endless. Looking for a home of executive quality and style? Foothill Ranch has a lot to offer. 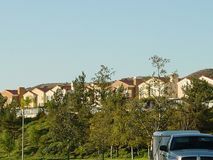 As a new community, Foothill Ranch’s homes were mostly built within the last 10 years. Many of them have good sized lots and great views of the central valley. At night you can see the city lights sparkling in the distance. 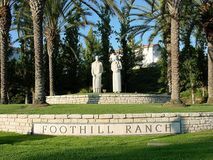 Foothill Ranch offers a good balance of condominiums for entry level buyers and single family residences for growing families. This community is crisp and clean and well landscaped. I have looked at buying homes in Foothill Ranch on more than one occasion and it remains at the top of my list. It is only a short commute into Irvine and is still peaceful and tranquil. Its topography is a key advantage. This upscale, modern community of about 11,000 people represents a great opportunity for living in a spectacular location. The backdrop and the views of the city lights are peerless features in a community that already offers premier lifestyle options. Education Data Partnership: Fiscal, demographic, and performance data on K-12 schools, including Foothill Ranch schools.